In the private capital market, while capital flows freely to buy companies and invest in funds, performance data does not flow back nearly as freely. The resulting information imbalance has impeded the progress of the entire Private Capital asset class. Fixing this information imbalance is ILEVEL’s mission. The iLEVEL Private Capital Data Platform is a cloud-based solution built specifically for the Private Capital market that empowers fund managers and investors to control information and gain actionable insights. iLEVEL enables increased allocation of capital to alternatives by empowering private capital market participants to control their data. Rick Kushel joined The Blackstone Group in 2008 to transform the firm’s in-house portfolio management system into an independent business, which became iLEVEL Solutions, Inc. Previously, he was Chairman and CEO of Archive Systems, Inc., a leading on-demand document management company he co-founded in 1991. During Rick’s tenure as CEO of Archive, the company achieved 14 consecutive years of double-digit revenue growth, grew to more than 250 employees, and raised more than $20 million in venture capital from The Carlyle Group, Edison Ventures and NJTC Venture Fund. 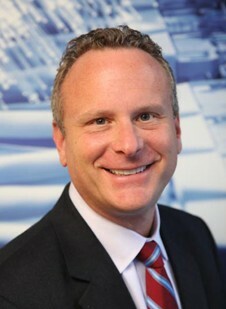 Archive was named “One of the Fastest Growing Technology Companies in NJ” by Deloitte & Touche in two separate years; was named twice to NJBIZ magazine’s “50 Fastest Growing Companies in New Jersey”; and, similarly, made Mortgage Banking magazine’s “Top 25 Mortgage Technology Service Providers” list two times. In 2004, NJBIZ named Rick one of New Jersey’s “40 Under 40? as someone who has made a significant impact in business in the state. He was a finalist in New Jersey’s 17th annual Ernst & Young Entrepreneur of the Year (EOY) Awards and served on the Board of Trustees of The New Jersey Technology Council, the state’s 900-member organization for the technology and venture capital industries. Rick is an active angel investor and has, since 2004, been a member of AngelVineVC, a leading New York City area venture capital and angel investor network. Rick was an investor in Franklin Realty, a real estate holding company that he co-founded in 2001 and exited in 2008. Rick is a frequent public speaker and guest lecturer at Columbia Business School on venture capital and entrepreneurship. He received a B.S. in Chemistry and a B.A. in business from James Madison University. CEOCFO: Mr. Kushel, what is the concept at iLEVEL Solutions? Mr. Kushel: iLEVEL is a technology company, and it originated inside of the Blackstone Group. It is a technology that was developed internally at Blackstone to help streamline and collect data from the underlying portfolio companies within the Blackstone private equity portfolio. It was also used to eliminate what was commonly called the “spreadsheet shuffle” where Blackstone staff had to hunt for data in various spreadsheets attached to e-mails. The catalyst to build the platform internally was when Steve Schwarzman and the CEO of a Blackstone portfolio company were looking at two different EBITDA numbers for the same quarter. We took that technology and sold it to other private equity firms in 2009, and ultimately we spun it out of Blackstone and took on additional investors in June of 2010 to rebuild the platform and to expand to other private capital asset classes. CEOCFO: How does the product work? Mr. Kushel: Think of it is a work flow tool that enables private capital asset managers to use their own templates to collect operating and financial performance data from portfolio companies and store it in a central repository. Then, they can manipulate and analyze the data more easily. We are giving them a platform to share the data within their organizations- with their investor relations team, investment professionals, valuations and compliance. Anyone who needs access to the data can see it via a web browser or can analyze it through a tool that we developed which integrates tightly with Excel. You do not have to take the users out of their comfort zone, because financial professional's tool of choice is Excel and we made sure to tightly integrate the platform with the tools that they are most comfortable working with. That is how the platform works, but part of the bigger picture and the mission of iLEVEL is to provide increased transparency to institutional investors. If you think about the alternative asset class, it consists of general partners, which are the large firms making investments on behalf of investors that are more commonly known as Limited Partners. The LPs are your more traditional pension fund, endowment or sovereign wealth funds, or large insurance companies that need to invest in different asset classes. The traditional means for communication between the GP and LP has not been great, and that is because the data is very difficult to come by for these private capital firms. We provided a platform that allows the GP to do their job better, make better investment decisions, get control of the data, be able to analyze results, and ultimately transpose it to the limited partner. LPs are used to receiving data from the GP in old-fashioned ways such as PDF files and paper statements. For the limited partner, private capital has been a very important asset class with traditionally good returns but the problem has been that it is a very expensive asset class for the LP to manage in large part because of the way the GPs report to the LPs. I will give you an example to help crystallize it. If you are a large pension fund in a state such as California, they all have relationships with several hundred GPs such as Blackstone, Carlyle, and Apollo as well as a handful of middle market funds. Each of these GPs report to the LPs differently and LPs say it is in a format that is very difficult for them to consume, so in our latest release we give them a common platform that they all can operate on and provide this level of transparency to the investors. The hope and vision is that it will bring down the cost for those to people to do business together, and thereby raise the amount of allocated dollars that can go out to the asset class. That is the big vision, we started on the GP front and then worked our way to the LP front. CEOCFO: Are you able to segment the raw data into the right categories, or is that still something that the GP still has to do because it is easier for them? Mr. Kushel: Once data from portfolio companies gets swept into the GP’s secure instance on the iLEVEL cloud platform it can be segmented however the GP needs. Using valuations as an example, a large GP such as Blackstone may have 70-100 companies in their portfolio and they have to value each company every quarter. Valuations now are a very sensitive topic with investors and with regulators as any asset manager with over $150 million dollars of AUM, which is Assets Under Management, is now registered by the SEC. The SEC can come in and audit your books and records, operations (how you manage the AUM), and how you do your valuations. Think about that process before a system, and it would involve a deal team in charge of a particular investment who needs to get financials every month or every quarter. You then have 90 different ways of doing it because of the size of your portfolio. You are talking about spreadsheets flying all over the place, PDF files and board books spread across multiple deal teams and really no automated process to do that. We give them the ability to do that in a streamlined approach with a technology platform that is state of the art and it is software as a service so nobody has to install anything. We give them the tool in Excel, the tool they are most comfortable with. The biggest difference is that it is all residing in a cloud-based database. CEOCFO: Is there much or any competition for what you have developed? Mr. Kushel: We have more GPs as clients than all competitors combined, and we continue to grow very rapidly. We have received investments from not only Blackstone but the Carlyle group, and Duff & Phelps whose valuation practice uses the platform. Also, Hamilton Lane is also an investor who came into the company about a year ago. They provide Limited Partners with advisory and Fund of Funds services, invest over $8 billion into the private equity market every year and have helped us frame out the iLEVEL offering for the limited partner. Hamilton Lane, much like Blackstone, wanted to take a position in the company so that they could help drive some level of standardizations around the industry, thereby making it an easier, more effective asset class for the limited partners to invest in. What we have found in speaking with Limited Partners is that it is not just private equity. Transparency and control of data is also critical for Limited Partners investing in private real estate, credit funds, and really any alternative investment that is not liquid and needs to be monitored and valued either internally or by an external firm on a regular basis- typically quarterly. CEOCFO: How are you rolling it out to the LPs, and have they been looking for a better solution? Mr. Kushel: There is a lot of pain in the LP reporting space, and if you read about LPs and their needs and demands, it is all in and around the notion of transparency. They want to have a better understanding of what their risks are in some of these larger portfolios, especially in the alternative space. There has not been a system out there that allows them to do that. We are the pioneers, and that is why we have been able to attract such a powerful investor base. If you look at some of the people that sit around our table at board meetings, they are the leaders and the who's who of the industry. There are other software companies out there that do bits and pieces of it, there are fund accounting platforms as well as fund administrators, but nobody has really solved the problem that we are trying to solve here. That is the future of data communication between the GP and LP. CEOCFO: When you speak with a prospective customer, do they understand it immediately or is there a certain moment when they do? Mr. Kushel: Some of them do not recognize that they have a problem, but others get it immediately. If you are familiar with Geoffrey Moore’s book “Crossing the Chasm”, we have crossed and we are now through the early adopter phase. The phone is ringing, and we now have a full-fledged sales force and marketing effort. It is a very promising business, it is exciting to be here now, and like I said we are growing rapidly. Most of the prospective clients understand it right away. CEOCOFO: What did you add with the new 6.0 release this summer? Mr. Kushel: That was the ability to service the LP market, and what came along with that was the ability to handle what we refer to as cash transaction monitoring. A cash transaction is the movement of cash, and from a fund manager perspective it is money moving in and out of a particular investment. They may make an additional investment in a portfolio company, get a dividend, or sell the company. From an LP perspective, it is what is referred to as capital calls and distributions. When LPs commit to a fund, what happens is that as a GP finds a prospective new investment that they want to make, they will call capital from the LP- that is committed capital to the fund and it is called a capital call. They will say to wire in one million dollars because they are going to buy XYZ. On the flip side, when they sell a company that will distribute money back to the limited partner and that is called a distribution. Until iLEVEL 6.0, GPs and LPs are manually tracking this data and don’t have analytic tools to aggregate this data, filter it and run IRR calculations, or relate these IRRs to their portfolio monitoring data. CEOCFO: You also recently launched your iLEVEL University for customer training. Are people interested in that or is it still too early for usage? Mr. Kushel: That was one of the best things we have ever done. We did it very early on in our company's lifecycle, we made an investment in training earlier than I originally planned. iLEVEL University training has contributed to a 3x reduction in deployment time for customers. It is also important because it helps to drive user adoption, it drives our support costs down, and it has enables us to develop a sense of community. It is interesting because the users are not the managing directors or the senior people within these firms, but it is one level down and they are the people doing all of the work. We had our first user conference about a month ago. We had about 150 people at Yankee Stadium, and it was the first time we brought this group of people together. To me, it was very eye-opening and it was amazing to watch this group come together. In what has typically been a very tight-lipped, ultra-competitive marketplace, it was great to see them sharing ideas and sharing best practices. It gave us the idea of developing the concept of the iLEVEL community, and that has come out of what we have done in training. CEOCFO: Why should people in the business and investment community pay attention to iLEVEL? Mr. Kushel: We are changing the game for the alternative asset class. Returns have traditionally been good, and investors need this asset class to perform and we see room for significant growth in the asset class. Like I said, the challenge has been in the two main parties communicating, but we are now taking that communication to the next level. iLEVEL will be the leader in that marketplace and I think it is a very important company to keep an eye on.